Michael Platt and Carol Beane will discuss their collaborative process of exploring non-Western aesthetics, imagery, and verse. 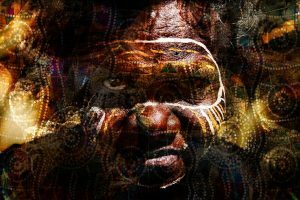 Carol will read from some of her poems, while Platt will discuss his multi-layered digital images derived from explorations of aboriginal Australian culture. Free and open to all. Please register at tinyurl.com/AlperTickets About the exhibit: Michael B. Continue Reading..